1. Security. 24/7 patrols circulate on land and on watter in Port Grimaud. each entrance is secured, and a large network of cameras monitors the peacefulness of the site. 2. High-end service. Get a turnkey house: your secondary home in Port Grimaud is visited monthly by a neighborhood warden in order to verify that everything is in order. The gardeners maintain the common and private gardens. The technical services of the city are in charge of roads and technical networks maintenance. 3. Give a home to your boat. The boat moorings in front of your garden offer direct access to the Mediterranean Sea: St Tropez and the Islands of Hyères (Porquerolles, Port Crau, …) are at few nautical miles away. 4. An art of living. Port Grimaud is a village without car. For all your trips, opt for the bike or the boat: imagine going to the restaurant at night …by boat. Above all, the weather remains the key of this lifestyle with more than 300 sunny days each year. 5. A sustainable real estate investment. The rarity of the site concept guarantees its value. 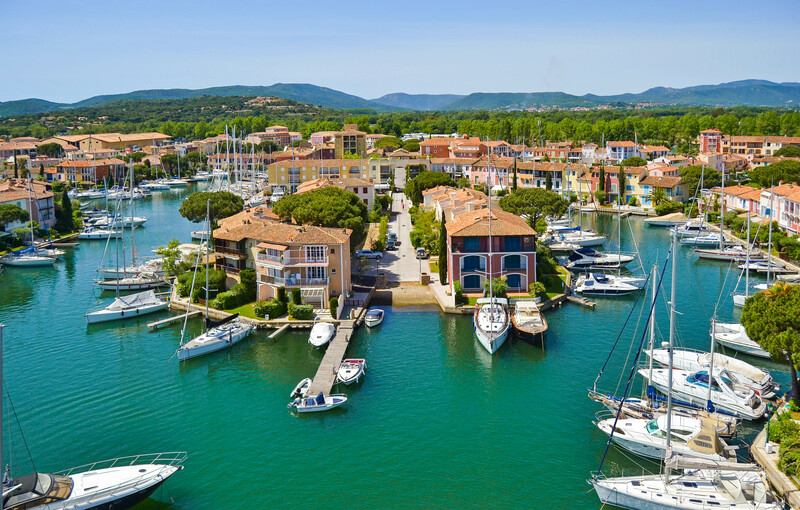 In transactional or rental profitability, Port Grimaud has always benefited from a growth in values over time. This valuation is also reinforced by its strategic location at the heart of the Bay of St. Tropez.1.